Bacteria is naturally present in all septic tanks. It comes from the organic waste that's flushed into the tank. However, not all bacteria is "good," meaning that it doesn't have the ability to quickly break down the waste. Also, not all bacteria has the ability to break down grease, toilet paper and other waste. Laundry detergents, bleach, chemical drain cleaners and other products kill "good" bacteria, so they need to be replenished. 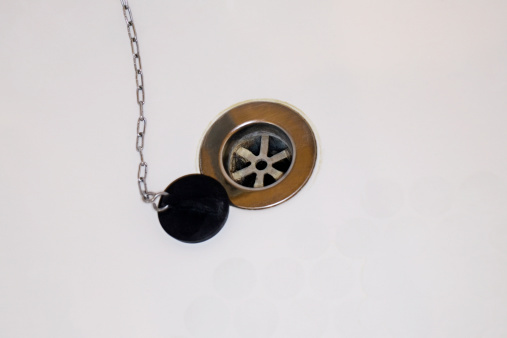 These are the reasons you need to add "good" bacteria to a septic tank. Talk to the company that pumps out your septic tank to find out what product they recommend. They may recommend a treatment that's only available from them. There are numerous products to choose from: about 1,200 additives on the market today, according to the Washington State Department of Health. Choose a septic-tank treatment that adds good bacteria to a tank, such as Rid-X. According to ridx.com, this product "contains billions of 100-percent natural active bacteria and enzymes to break down household waste." Choose a treatment that is compatible with the type of septic system you have. For example, Rid-X isn't approved for aeration systems. Flush a packet of brewer's dry yeast down one toilet on the bottom floor of your house once a month. The yeast will help add "good" bacteria to your septic tank and break down waste. What Is a Macerator Toilet?